Kathmandu, Camino al Infierno – New Review!!! 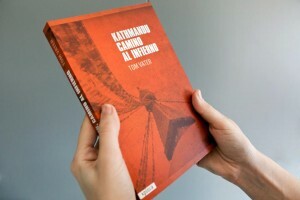 Kathmandu, Camino al Infierno, the Spanish edition of The Devil’s Road to Kathmandu, published back in March by Xplora Editorial is reviewed extensively at Leer y Viajar. The Devil’s Road to Kathmandu is available from Crime Wave Press both as Kindle ebook and paperback.